The Grand S3 isn't a beefed up version of the Galaxy S III, an easy mistake to make just from skimming the name alone. No, it's the latest version of ZTE's flagship handset. This time around, the company is using more than competitive pricing to draw attention to its kind-of-premium device. Anyone who buys this phone in the future will apparently be able to unlock it using their eyes. ZTE has partnered with EyeVerify to incorporate its Eyeprint ID solution with an upcoming version of the Grand S3, a phone that's already on sale in China. It is one of the first smartphones to implement this technology, which allows users to scan their retinas using a phone's front-facing camera. This should provide folks with a theoretically more secure way to get around retyping passwords than using their face or a Bluetooth device. Since specs still matter, let's go through them. The Grand S3 rocks a 5.5-inch, 1920 by 1080 display. It's powered by a 2.5GHz quad-core processor, 3 gigs of RAM, a 3100 mAh battery, and Android 4.4. As for storage space, there are 16GBs of internal memory supplemented by a micro SD card slot. In short, the phone is mostly good, but shipping with Android 4.4 is kind of a bummer. ZTE plans to bring this phone outside of China, but we'll have to wait and see for the when. 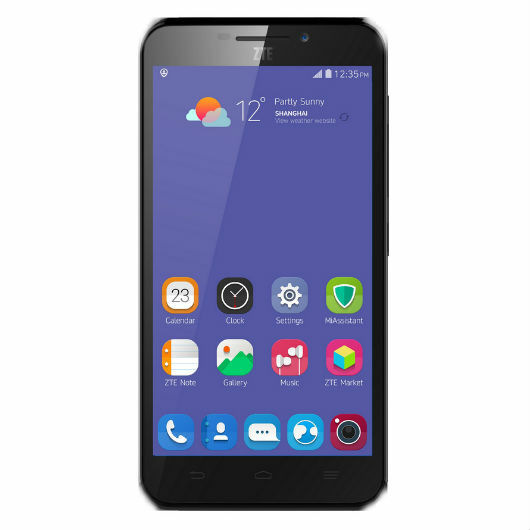 BARCELONA, Spain--(BUSINESS WIRE)--ZTE, a leading global mobile device maker, today announced at the Mobile World Congress 2015 in Barcelona that a new flagship device, the ZTE Grand S3, will be launched with a pioneering eye-based biometric solution from EyeVerify. The solution, Eyeprint ID™, allows users a password-free method of unlocking the Grand S3, offering an enhanced level of privacy and security to the device. ZTE’s Grand S3 is one of the first smartphones in the world to offer this solution. Eyeprint ID™ offers ZTE Grand S3 users an innovative password-free mobile experience that is convenient, secure and private. The cutting-edge solution works by imaging unique vein patterns in the human eye using the Grand S3’s front facing camera. "EyeVerify is excited to launch Eyeprint ID™ for users of ZTE devices - enabling highly accurate biometric authentication that eliminates password pain," said Chris Barnett, EVP Global Sales & Marketing at EyeVerify. 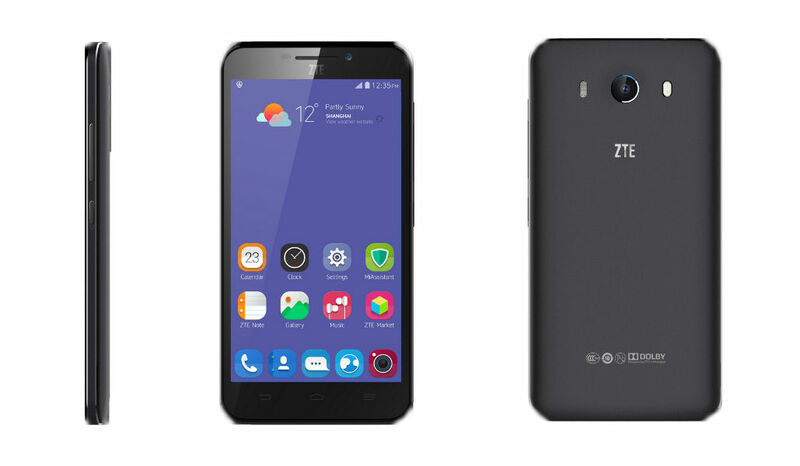 Prior to its debut at Mobile World Congress 2015, the ZTE Grand S3 was initially launched domestically in China on January 17th, 2015. The Grand S3 received an iF DESIGN AWARD 2015 in recognition of its top-class design, which is based on ZTE’s ‘minimalist design philosophy’. Eyeprint ID™ will feature in upcoming devices in ZTE’s Grand series, and will soon be integrated with mobile payment and other applications. The enhanced privacy offered by Eyeprint ID™ positions devices in ZTE’s Grand series among the most secure devices for business users in the market. To date, devices in ZTE’s Grand series have sold more than 5 million units globally, including the Grand S, Grand Memo, Grand Memo 5S, Grand S2, and Grand X Max in the United States. The original ZTE Grand S and Grand S2 first appeared at CES 2013 and 2014 respectively, with the Grand S representing the first Grand series device made available in the U.S. market in 2013. The enhanced ZTE Grand S3 with Eyeprint ID™ is currently available for purchase online in China, priced at 2999 RMB.